ABD Engineering and Design is a leading independent acoustical consulting and AV design firm serving architects, building owners, facility managers, and other stakeholders with expert architectural acoustics, environmental noise and vibration control, and audiovisual systems design solutions. Learn more about our company, leadership, practice areas, specialties, and more. 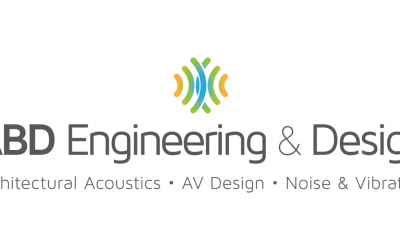 ABD Engineering and Design Services operate acoustical engineering and AV design consultation services—providing expert architectural acoustics,environmental noise and vibration control, and AV systems design solutions from offices in Grand Rapids, Michigan and Portland, Oregon. Learn more. We specialize in acoustical consulting and AV design services for multiple vertical markets including healthcare, higher education, corporate enterprise, and more. Contact us for more information about our acoustical consulting, AV systems design, environmental noise and vibration control services, employment opportunities, and more. Our architectural acoustics, environmental noise and vibration, and audiovisual systems design experience is represented in our large and diverse project portfolio. Search and view our feature project profiles to learn more. Learn how our independent consultation engagements, best practices, and value-added services offer expert solutions for your architectural acoustics, AV design, and environmental and industrial noise and vibration control projects. 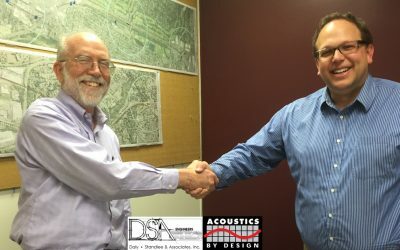 Meet the bright, talented team of acoustical, environmental and industrial noise and vibration control, and AV systems design consultants, and administrative and support professionals at ABD Engineering and Design. Thoughts, insights, and our perspectives on current news, trends, and issues regarding architectural acoustics, environmental and industrial noise and vibration control, and audio visual systems design. We are honored to receive certifications and awards recognizing our efforts to create an environment and culture that reflect our values and commitment to the well-being of our employees, clients, and our community. View our news releases for the latest news regarding our business, projects, staff, and other ABD Engineering and Design news. We offer acoustical engineering and AV design services in markets across the United States, Canada, and other international markets. Learn more.